Do your friends think that you are always ahead on the newest fashion trends? Or have you always wanted a very unique wedding? Well you are in luck we found the newest 2013 trend, and are excited to share it with you! The antique and antebellum style weddings are coming back in full swing. If you are not familiar with they antebellum style wedding we have your answer, we are traveling back in time, to the time period of outdoor and natural weddings. Which if you just take a few seconds looking on pinterst you will notice that outdoor weddings is the trend this season. There is no doubt that lace is back! Now more then ever, brides come into our store and more times then we can count we have been asked if they could see our lace dresses. Lace dresses have such a soft and light feeling to them, plus they are absolutely gorgeous, and they go along with the newest trend so you cant go wrong! Of course it never hurts to throw in a few of your own DIY project to help spice up the vintage feel and to add in your own touch to your big day. 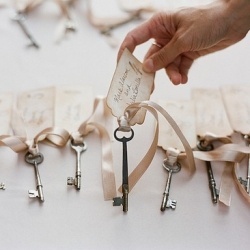 I hope these little tips will help you plan your perfect vintage wedding! Enjoy and have a fantastic day!!! This entry was posted in DIY, Events, Hannah H., Planning, Traditions, Wedding Attire and Fashion and tagged Attire, Bridal Shop, Brides, Bridesmaids Dresses, Creative, Dress, Hannah H, Ideas, Planning, Unique, Wedding, wedding day, Wedding Dress/Gown, wedding gown by Affairs by Brittany. Bookmark the permalink.